Finding the right mechanic to solve your motoring problems, especially during this festive season, will soon be less of a hassle all thanks to the CarBengkel mobile application. 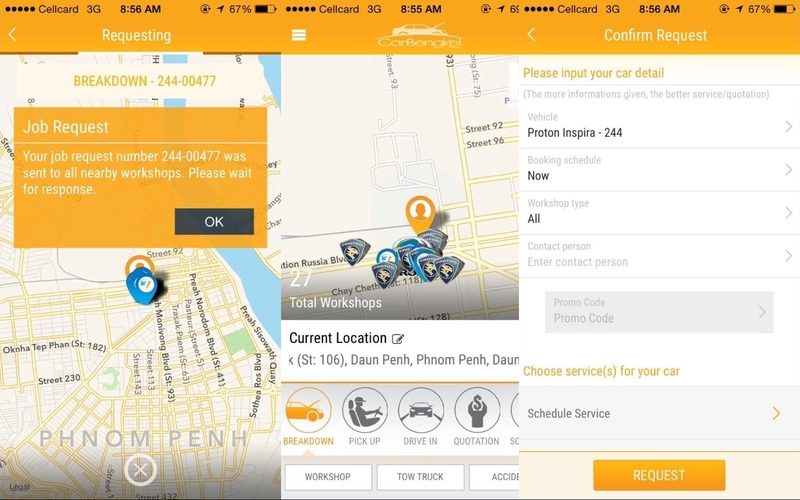 With this mobile app, motorists can locate nearby workshops and service centres to repair or send their vehicles to for regular maintenance checks. On top of that, users of this app can request price quotations from workshops for repair or maintenance works and choose the one that fits their budget. This way, motorists can avoid being cheated by unscrupulous service centre operators. Apart from that, the mobile app allows consumers to arrange for the selected service centre operator to pick their car up for service if they’re too busy to drive in themselves and drop it off at their home or office afterwards. They can also use the app to send an SOS alert to nearby workshop when their vehicles break down in unfamiliar territories. A tow-truck or a mechanic will then be sent to the exact locations to tow your vehicle. CarBengkel is available for free on both Apple AppStore and Google Play and is linked to a network of 1,000 workshops, and service centres nationwide. CarBengkel team is currently planning to add 1,800 workshops and service centres to be included its network. Armin Baniaz, founder and managing director of CarBengkel said, “Most households do not set aside a budget for car maintenance as they do other expenses but it needs to be done to ensure the vehicle’s optimal performance. It is only when the time comes for the vehicle’s regular service or when it breaks down that motorists realise that they have to part with a sum of money and maybe even more if an essential part of the vehicle needs to be replaced,” he added. 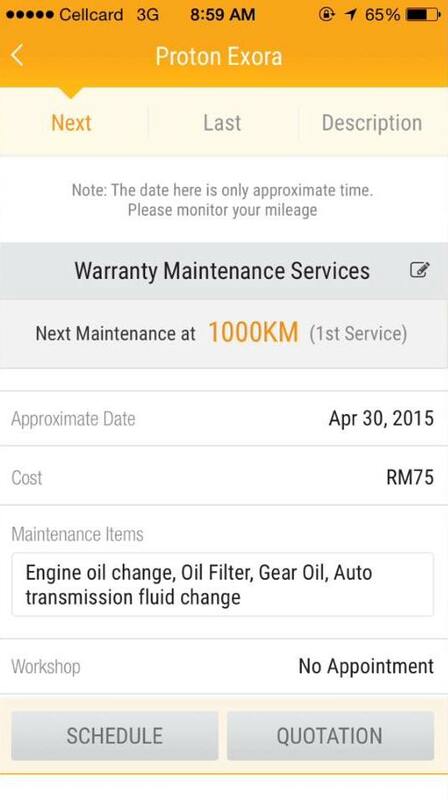 With the introduction of the CarBengkel app, motorists can spend less time looking for a workshop that offers impeccable service at affordable prices. Apart from engine and tyre maintenance, Armin said there are plans in the pipeline to also include workshops and service centres that specialise in motor aesthetics such as car bodyworks, spraying and painting, and car accessories in the future. “This is a great app for motorists to have on their smartphones which can help them in emergencies. Continental Tyres is honoured to partner with CarBengkel. With it, we’re better able to attend to our customers’ needs where ever they may be,” said Cameron Wilson, vice-president of marketing & sales, PLT & TT, Continental Tyres, Malaysia. CarBengkel signed a partnership with Malaysia Automotive Institute (MAI) to chart the network of service centres and workshops nationwide. MAI will also be collating labour costs and the recommended retail prices of car parts which will be made available on the CarBengkel app. 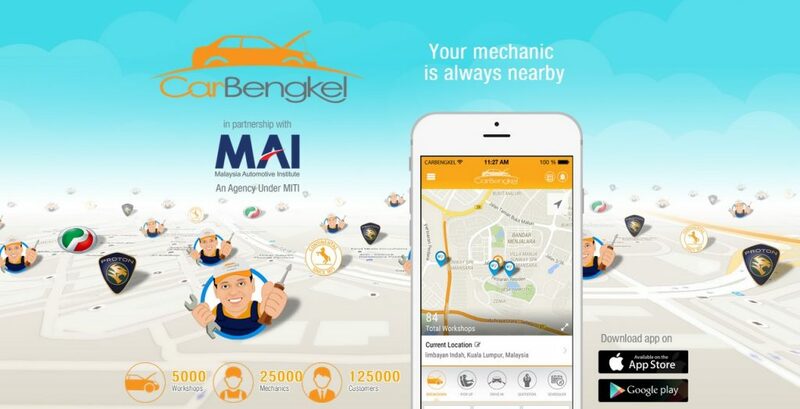 For more information about this app, visit www.carbengkel.com.